The ‘one’ service from Jobling Gowler. A bespoke legal service with the spotlight firmly focused on your individual needs. Whatever the circumstances which have led you to search for a solicitor you need to ensure that the professional you choose is able to provide the best advice for your situation. 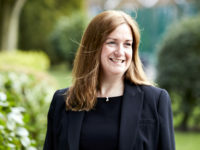 As an award winning law firm we are recognised nationally for our considerable expertise in handling complex Clinical Negligence Claims, Serious Personal Injury Claims, advising clients in matters relating to Wills, Probate & Tax Services and providing legal services to Elderly & Vulnerable Clients. You can be assured that when instructing Jobling Gowler you will receive a first class service and the best outcome for your individual circumstances. Book a FREE appointment to discuss your needs with one of our legal experts. Our friendly and experienced team are here to help you with your legal needs. Read what our clients and other leading professionals say about our legal services.